Why Safe Touch Pressure Washing for Exterior Cleaning in Jacksonville? 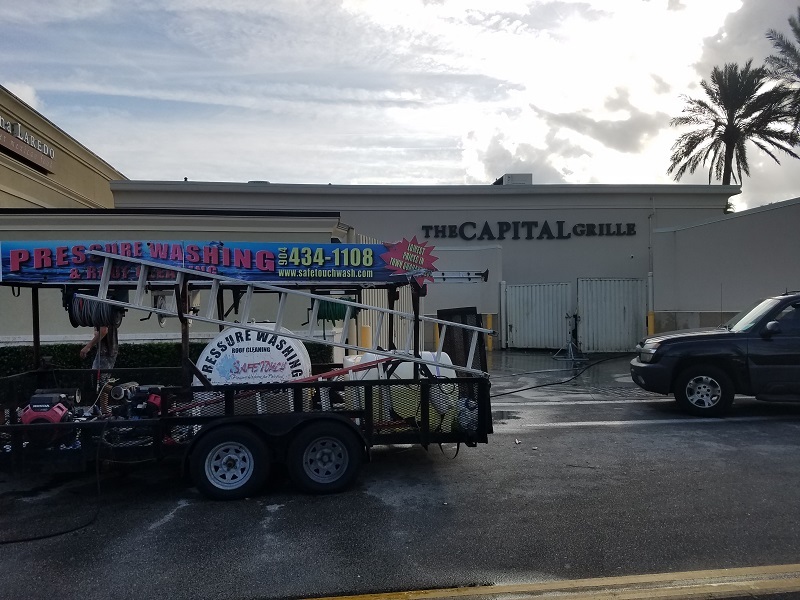 Safe Touch Pressure Washing in Jacksonville, FL has been established with the one and only purpose to help homeowners who simply want more from a basic pressure cleaning operation. Anyone can spray a cleaning solution on windows and rinse with water, just like anyone can hose a roof or vacuum indoors. We aim to take cleaning to the next level in Jacksonville. Whether you cannot understand how mold spreads so fast or why you got water streaks once your windows dry, we are here to overcome these classic problems. We conduct our work with nothing but our Jacksonville customer’s satisfaction in mind. Therefore, no pressure cleaning job is complete until you show up, take a look and approve the result. Our primary objective has always been to provide a full level of satisfaction to each customer while sticking to a friendly, comfortable and knowledgeable attitude. Got questions? Ask us. Want tips? Express your concerns. We love our Jacksonville community, and appreciate your business. We also know that plenty of people overlook the importance of professional pressure cleaning because they do not want to spend a lot of money on it. In other words, our pressure cleaning Jacksonville, FL service is among the most reliable ones in Florida. We have the quality and the costs, so we are cost efficient. We do know that we are not the only cleaning service in your area, so we thank you for the consideration. We hope that you have already gained the confidence to leave your house in our hands.